There is a little wooden shack, almost at the point of the peninsular in the southern end of New Hanover County and situated between “The Mound” at Fort Fisher and the sea. The shack serves to designate the establishment known as Walter’s Place. 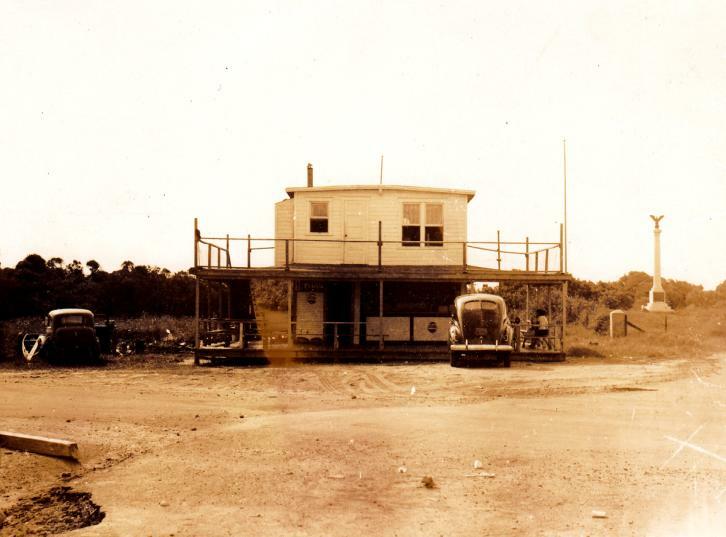 Fort Fisher and its history have come down to us from the Civil War, and its flag-topped mound, its monument and its strategic location and inspirational surroundings are not new, but Walter’s Place is a creation of the year 1923. Situated on the final loop of the Fort Fisher highway, Walter’s Place offers many attractions to visitors and fishermen alike. The establishment is run as a cool drink stand and bath house. But it is becoming famous for its fish suppers and lunch service for fishing parties. Cold drinks, hot sandwiches and lunches are readily available and will be specially prepared upon-notice. From Walter’s Place you can go fishing in the river, bay at the “Rocks” or out to sea. Boats, tackle and bait are kept on hand for deep sea fishing and the old banks and wreck of Modern Greece offer the best place for this sport. “The Cribben,” Buzzard’s Bay, “The Rocks” and the river are also within easy distance. A Ford car and a motorcycle are kept on the beach to take fishing parties quickly along the beach sands to the inlet or any of the other places nearby. 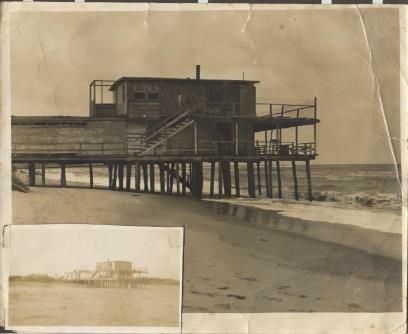 The owners of this popular shore establishment are Walter Winner and his pretty sister, Iona Winner. The latter keeps shop while the former is away with fishing parties and in quest of supplies.